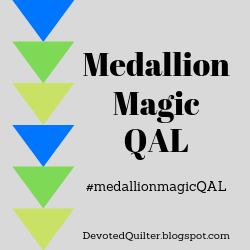 I always love pattern release days, but this one is extra special 😊 Not only do I get to release my Medallion Magic quilt pattern, but I also get to announce that I'll be doing a QAL with this pattern starting in January (happy dance, happy dance)! 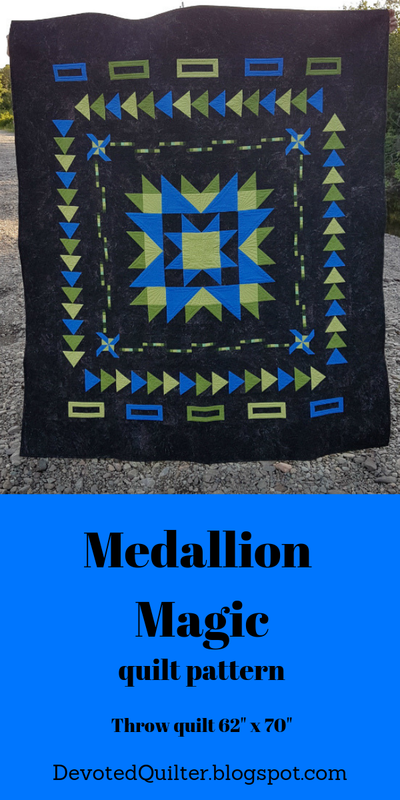 Medallion Magic is the result of me wanting a medallion quilt where each border has a bit of breathing room so that all the individual parts can shine. 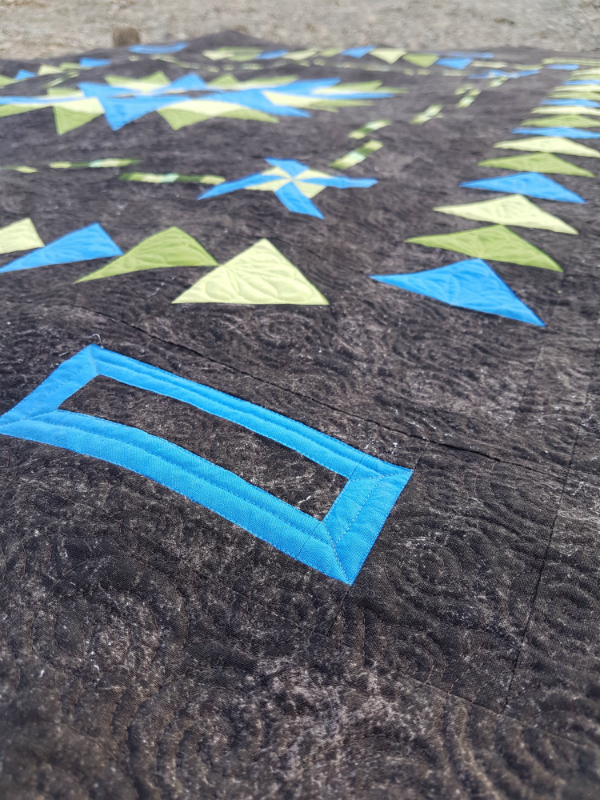 I also wanted to make it a rectangular quilt, rather than the usual square. 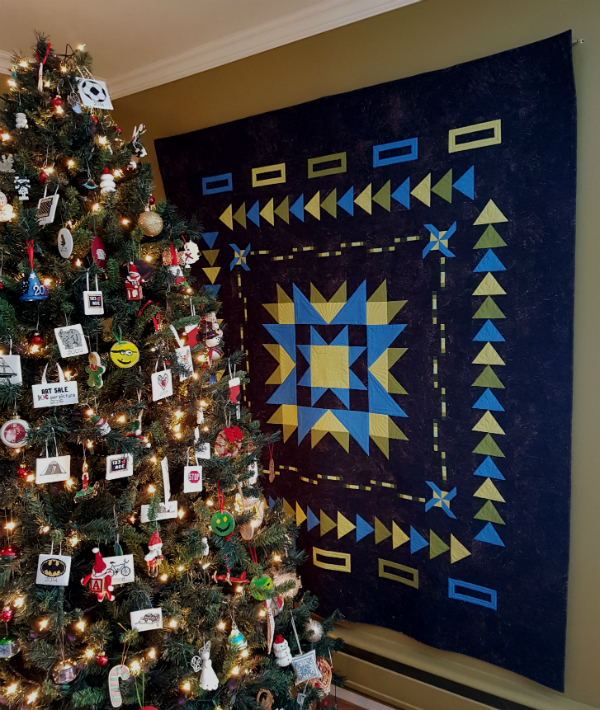 The throw size quilt finishes at 62"x 70" and is made using traditional piecing and foundation paper piecing. It would be appropriate for a confident beginner, but the bold design is perfect for any skill level (I may be biased, lol). I know I say it a lot, but this is one of my favourites of all my quilts. I love it so much that we hung it in our living room so that I get to enjoy it every day. Right now it's kind of obscured by our Christmas tree, but I can still see it perfectly from the chair where I usually sit. You can get your PDF copy of the pattern from either my Payhip or Etsy shop and printed patterns will be available soon. The PDF pattern is available at the introductory price through Friday, December 21st, so be sure to get your copy early to be ready for the QAL. I am really looking forward to making a whole new version during the QAL. The Island Batik fabrics I've chosen for the new one are completely different from the Northcott fabrics I used for the original quilt so it will be fun to see it in such a different look. Considering how much time I've spent admiring and petting the new fabric, I'm thinking it's a good bet the new Medallion Magic will be a hit, too 😉 I'm looking forward to sharing the new fabrics with you soon! The QAL will start January 15th and will run for 6 months, with a finish link up party in August 2019. There will be prizes and link up parties and beautiful eye candy and I can't wait!! I know, too many exclamation points in this post, but I'm *almost* wishing it were January 15th already. I hope you'll quilt along with me! Congratulations on the pattern release, Leanne, and it will be fun to see the versions created in the QAL! I love your choice of colour for this one already. Difficult to imgine it any other way. What a beauty! Love the colors on this one and congratulations on the release! I especially love that you have space between each round and like you said...breathing room! Very nice! I do really like the space between the rounds - keeps things from getting frenetic. I also love how your design gives a fantastic pop to just three focus fabrics (with a kiss of a fourth, it looks like). Eep! I can only imagine how the look and feel of this design will change as we see QAL participants come up with their own fabric pulls. I love a good modern medallion, and this one is indeed magic! It's a stunning quilt Leanne. I love the colours you chose for this version. This is one of my favourites as well. I can't wait to sew along. Have to remember to purchase the pattern (I'm lounging on the sofa right now and too lazy to get up and get my credit card LOL).